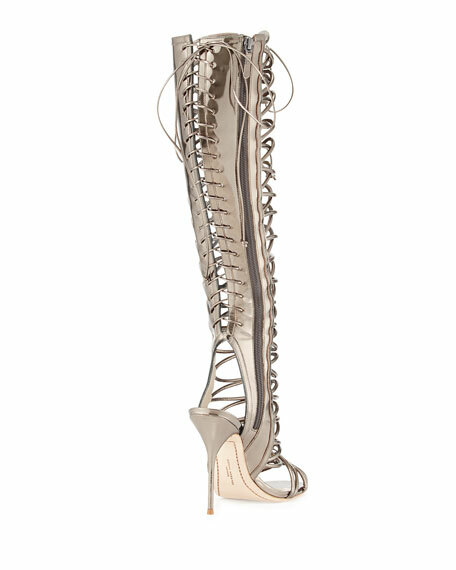 An avant-garde strappy silhouette and leg-sculpting heel give this Sophia Webster sandal-boot hybrid statement status. 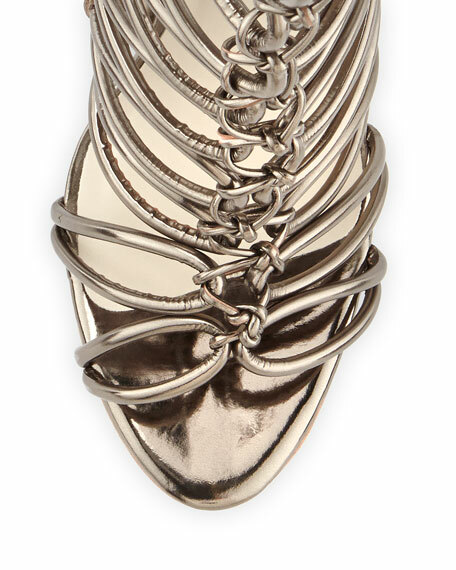 Sophia Webster mirrored metallic leather sandal. 15 1/2"H to-the-knee shaft with laced back. Tubular straps lace up front. For in-store inquiries, use sku #888486.